A beautiful, fully responsive website built using WordPress and the Canvas theme. 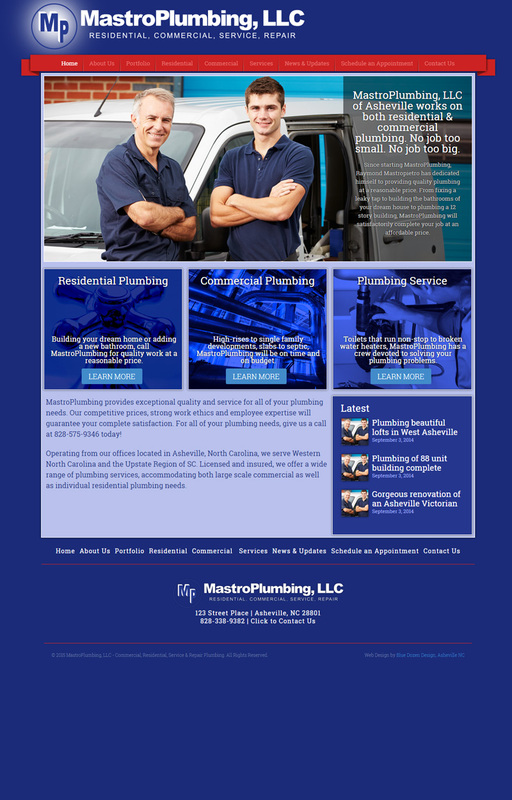 Mastro Plumbing, in Asheville, has a site they can be proud of for many moons! Click the image to see it larger. No link, because – well, it’s gone daddy gone. It’s on it’s way back, but at the moment, the URL is dead – so, feast your eyes on a large image and give us a call when you’re ready to rumble on YOUR new site!